Oklahoma City’s airport continues to grow with several recent announcements of nonstop flights, including a coveted new connection to the nation’s capital. 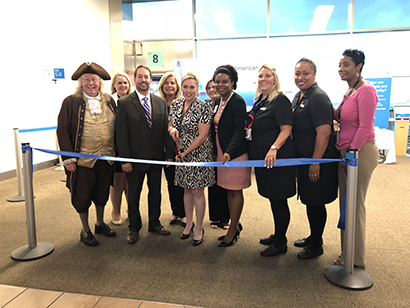 In late May, Southwest Airlines announced an expansion of its OKC service with a new nonstop flight to Ronald Reagan Washington National (DCA). Oklahoma City’s business and government partnerships with groups in Washington, D.C., made this nonstop a sought-after destination. In Oklahoma City, the retail industry plays a critical role in funding the City’s core services. For that reason, the Greater Oklahoma City Chamber works to recruit national retail chains to locate here and support Oklahoma City’s distinctive local retail culture. 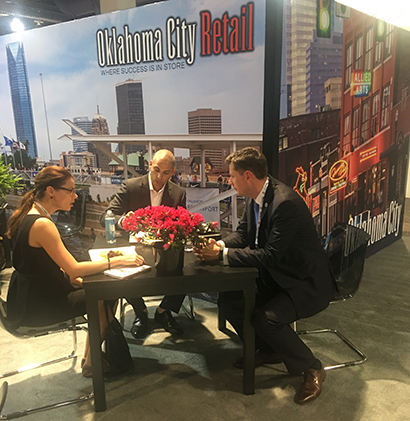 To further that goal, a delegation from the Chamber and the City of Oklahoma City attended the International Council of Shopping Centers RECon conference last month to connect with more than 36,000 retailers, business owners and developers. Costco, a membership warehouse club, plans to build a 150,000-square-foot store at Western Avenue and the John Kilpatrick Turnpike. According to its most recent sales tax report, the City of Oklahoma City has enjoyed 13 consecutive months of increased sales tax revenue compared to the same months the previous year. In May, sales tax collections were up 18.4 percent compared to the same month in 2017. Sales tax collections fund the City’s core services, public safety, infrastructure improvements and quality-of-life projects. Bioscience is booming in Oklahoma and more than 45 scientists, business leaders, educators and economic development officers from across the state of Oklahoma took that message to attendees of the 2018 BIO International Convention in Boston this month. At the convention, attendees connected with an international audience of potential investors and partners, all under the banner of the Oklahoma Bioscience Association (OKBio). Delegates participated in more than 240 meetings in the OKBio booth. In the 18 years Oklahoma has had a presence at BIO, this was the most meetings with potential partners that the delegation has held. Greater Oklahoma City’s bioscience sector currently contributes more than $6.7 billion in economic activity and supports more than 51,000 jobs. The sector also produces annual revenues of more than $4.1 billion. Throughout the state, pockets of research excellence continue to develop in Oklahoma City, Ponca City, Ardmore, Stillwater and Norman. Learn more about Oklahoma City’s bio industry. The Greater Oklahoma City Chamber recently released its Legislative Scorecard, a way to identify elected officials’ votes on issues that are important to the business community. Alongside information prepared by the statewide Research Institute for Economic Development (RIED), the Chamber also assigns a score to legislators based on priority issues advocated by the Chamber during the legislative session. The 2018 scores are based on issues identified by the Chamber and RIED and include elected officials’ votes on the Step Up Plan (HB 1033XX), Constitutional Carry (SB 1212), Quality Events Act (SB 1252), Hotel/Motel Tax Repeal (HB 1012XX), Small Employer QJA (SB923) and more. Learn how your elected official voted in 2018. Next week, Oklahomans will have the opportunity to exercise their right to vote on June 26. In addition to primary elections for statewide and local offices, people will also be able to vote on State Question 788, the so-called medical marijuana bill that would, in effect, legalize recreational marijuana in Oklahoma. 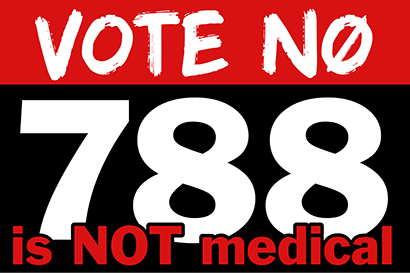 The Chamber’s Board of Directors recently voted to oppose SQ 788 because of the negative impact it would have on businesses, and the Chamber joined the SQ 788 is NOT Medical coalition to see the harmful public policy defeated at the polls. Learn more about the potential negative impacts of SQ 788. Polls will be open from 7 a.m. to 7 p.m. at your polling precinct on Tuesday, June 26. You can request an absentee ballot or participate in early voting on Thursday, June 21 (8 a.m. to 6 p.m.); Friday, June 22 (8 a.m. to 6 p.m.) and Saturday, June 23 (9 a.m. to 2 p.m.) at your county election board. The Oklahoma Election Board online voter tool can help you confirm your voter registration, find your polling place and view a sample ballot. 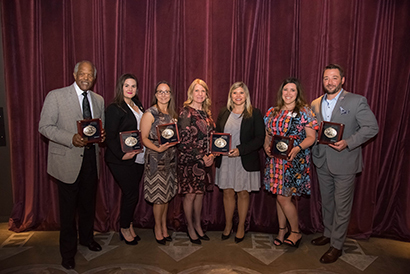 Brook Willhite, sales manager with Main Event in Oklahoma City, also received the Certified Tourism Ambassador (CTA) Star of the Year award for her excellence in hospitality and customer service and her knowledge of local attractions, venues and events. Join the Chamber as it welcomes new businesses and celebrates business expansions with grand openings. Below is a list of upcoming ribbon cuttings, and you can find a complete list at www.okcchamber.com/grandopenings. The Oklahoma City CVB will welcome the following groups to Oklahoma City in the next few weeks. View a full calendar of upcoming conventions at www.visitokc.com/about/convention-calendar. Follow us on Facebook or Twitter and help us share Greater OKC Chamber’s events and news via social media. July 10 | 8:30 to 10 a.m.
Chamber offices, 123 Park Ave.
July 17 | 4 to 6 p.m. HeyDay Entertainment, 200 S Oklahoma Ave.
July 18 | 11:30 a.m. to 1 p.m. 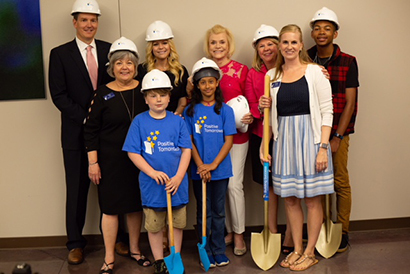 Vast, 333 W Sheridan Ave.
July 25 | 11 a.m. to 2 p.m.
You’re receiving this because you are a member of the Greater Oklahoma City Chamber or requested to receive the ePOINT email newsletter.